Previously on The Millionaires Giving Money Blog I wrote a post on how people on low income could use buy now pay later catalogs with instant approval if they needed to make an emergency purchase. That particular post received a lot of attention and appreciation so I thought I would write another thorough post with 10 Buy Now Pay Later Catalogue sites to help low income families to make ends meet. This website was originally started to connect millionaires and billionaires with low income families but since then it has blossomed into a place where unconventional personal finance ideas are embraced! Buy Now Pay Later Catalogs offer flexibility to purchase an item now and then pay it later. There are some catalogs which offer interest free periods which means you wont need to pay anything for up to 12 months. You might also have the facility to defer your payments so there's nothing to pay for the first 6 months. Buy Now Pay Later catalogs are useful when you need a household item urgently. Say for example your freezer is beyond repair you could buy then product from a catalog and then spread the payments. Having a Buy Now Pay Later facility allows you to spread the payment so you don't have to take out nasty expensive payday loans. Buy Now Pay Later catalogs also offer a credit facility to people with bad credit. The limit you start off with is low but you can build this up once you establish you can make payments on time and regularly. So now without further ado here are my 10 favorite buy now pay later catalog sites which may have instant approval in 2016. Fingerhut was founded in 1948 so its a very reputable company which treats customers properly. There is a real family feel to this business and website and you're well looked after with the customer service however small your purchase might be. Fingerhut is also quite lenient with its credit approval offering and offers a wide variety of household items from electrical to clothing. With Fingerhut no down payment is required and you can make monthly payments on large purchases. With Flexshopper you will get very lenient credit approval so if you don't have the best credit in the world you could try your luck here. There are no down payments required and no pesky hidden fees to content with. You have the opportunity to be approved for a large credit limit of $2500 which can be used to buy however many products you require as there is no limit. You can make small weekly payments over 7 to 29 days and there is no commitment over the long term. Flexshopper also accept returns so if you no longer need your product then you can return it as long is its in its original condition. Flexshopper is great when you need to buy a household item urgently and want to avoid high interest loans. Gettington offer incredible choice with their extensive catalogue. They also have a very lenient credit approval process where the limit is increased quickly so long as you make payments regularly and on time. Making larger payments and clearing the balance sooner will get you browney points which might extent your credit limit further. With Gettington you have two options when it comes to spreading the cost of your shopping. You can choose a four payment period spreading cost over 4 payments or the 24 month payment period. Also with Gettington you get variety with all the products in its catalogue, you will find brands such as Nintendo, Samsung, Dyson, Sony and Apple. Gettington also have a price promise whereby if you order a product and the items price is reduced before shipping you will have the difference returned to your credit account. The Home Shopping Network has a friendly customer service which aims to answer questions very quickly. You also have a very lenient returns policy so you can return items you no longer need. You can spread the payment in addition to paying by credit card, debit card and even PayPal. The Home Shopping Network offers Flex Pay where you can buy now and pay later. There are no fees or interest on the payments for a period of time after which the interest APR is added. Its really simple to sign up and you get access to a wide range of products and brands including Plasma TV's, Cutting Edge computers as well as consoles such as PlayStation and Xbox. If you're looking to improve your home with furniture, kitchen & bathroom supplies, as well as remodeling supplies for the home you can find everything you need at Ward. The catalog site offers exceptional customer service and has no hidden fees in its payment plans. The credit application process is simple and obtaining credit is relatively easy and you get approval within 24 hours. 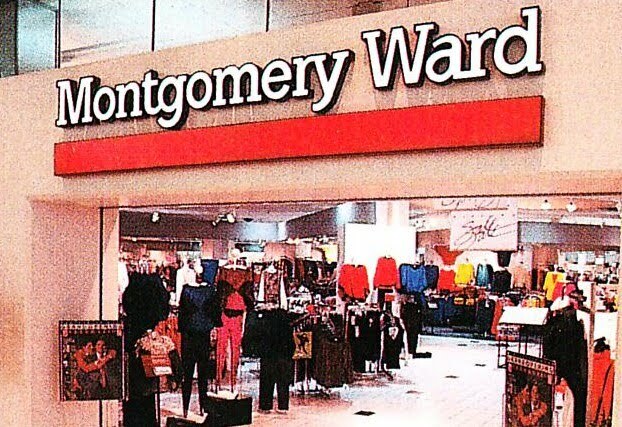 Montgomery Ward also has a very easy to understand payment structure. With a monthly payment of $20 you can purchase $200 worth of items. With $25 you can purchase $400 and with $30 you can purchase $600 worth of goods. QVC comes to the rescue when you need clothes and shoes urgently. The extensive range of fashion means you wont be stomped for ideas. To start shopping with QVC you need something called the QVC QCard. With a QCard there are no hidden fees or interest rates over a certain period of time. Opening an account is very easy and all you need is an email address and personal details. One feature I find useful on QVC is their live chat facility which allows customers to get answers quickly. QVC is perfect when you need new outfits and you're a little short in funds. The competitive pricing and the ability to spread payments make it a convenient addition when its difficult to make ends meet and you don't want to pay excessively in high interest. Moving into a new home can put a dent on your personal finance. If you're moving home and need to kit your home out but are low on funds then Seventh Avenue which specialize in Home Furnishing can come to the rescue. The application and approval process are really easy and and you can return products you don'like regardless of size. The quality of the furniture impressive and is likely to last a very long time. The payment structure is also very easy to understand. You can purchase $200 worth of goods for $20 per month. You can purchase $400 worth of goods for $25 per month and you can purchase $600 worth of goods for $30. The customer service is very friendly and the returns process if very simple. Having a new home to furnish can be painful on the wallet so Seventh Avenue can help cushion the blow. This is another buy now pay later site which specializes in clothing, jewels, and other fashion items. This store is unique because it even goes as far as offering free tips, and fashion ideas as well as fashion suggestions to all their member customers. The credit approval process is relatively painless and you get an answer within 24 hours. You can start shopping at Midnight Velvet for as little as $20 per moth. There are no hidden nasty fees with the site being very easy and intuitive to navigate. With the PayPal credit account you get a wide variety of products which include furniture, kitchenware, bedroom furnishing, electronics, jewelry, cosmetics, toys, clothing. There are many stores which are affiliated with PayPal Credit which was formerly known as Bill Me Later. Some of the featured stores include Ashley Stewart, Stride Rite, Vistaprint, ShowMall and Toys R Us. The payment facility is very easy to understand. You can make purchases without payment and get charged no interest if you pay in full within 6 months. There are over 500 stores to choose from so you can find exactly what you need. Being on a low income is hard when you're trying to make ends meet. Even without a emergency purchase life is hard so imagine how difficult life becomes when you need to replace or buy an item you need urgently. The last thing you want to do is to take out a loan or a credit card balance or payday loan with interest rates being very high. When you pay interest you get poor, its as simple as that so your main aim is to avoid interest. Buy Now Pay Later Catalogs offer a better way to shop and improve your credit at the same time. If you have an emergency fund then its better to use the money for emergencies. However if you don't have an emergency fund and need money quickly to buy items for the home BNPL offers a compelling alternative. With a Buy Now Pay Later option you can buy the item now and pay at a later time as the name suggests. Most catalogs have no hidden fees or annual fees. The monthly payments for these catalogs are typically very low. You can usually spend $200 and pay $20 per month to clear the balance. There is no interest charged for a period of time and you can defer your payments just before the interest charge kicks in . BNPL is an excellent alternative if you want to avoid paying interest and getting poor. The reason why people experiencing poverty fail to find prosperity is because of interest, it simply makes poor people poorer. You must be disciplined when you use buy now pay later catalogs. Sometimes the urge to buy unnecessary becomes uncontrollable so it might compound your financial woes. If used properly Buy Now Pay Later Catalogs can be a great to manage your finances and get access to credit with little or no interest even with bad credit because the approval process it very lenient.